← Thanks for visiting MakeYourWallpaper in 2012! Feel the need of an overview of the current month? 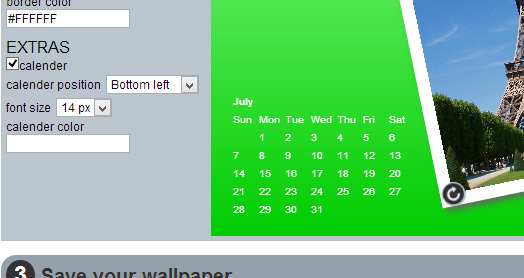 Check the new Calender option. You can choose the position, font-size and color. Feature request are always positively received, do not hesitate just write it up in the contactform of leave a comment below.